Celebrate the season with pumpkins doing fall activities in this Halloween-themed twist on the classic nursery rhyme "This Little Piggy"! This little pumpkin went to market. This little pumpkin cuddled with bats. This little pumpkin played in the leaves. This little pumpkin tried on some hats. The pumpkins are getting ready for their Halloween adventure! In this Halloween twist on "This Little Piggy," these little pumpkins are enjoying fun fall activities! 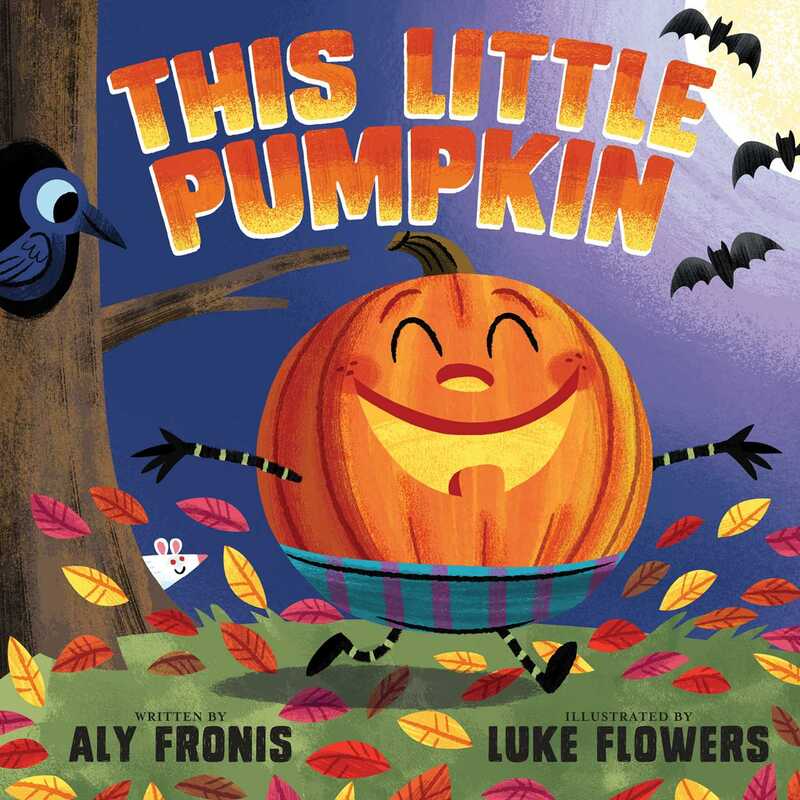 With pumpkins cuddling with bats, playing in the leaves, trying on hats, scaring mice, gobbling treats, and wishing readers a Happy Halloween, little readers will love this creative, flowing twist on a favorite classic nursery rhyme! Luke Flowers's creative journey began back in 1979, in the mountain town of Buena Vista, Colorado. Ever since he can remember he was drawn to illustrating, finding an endless sea of inspiration in storybooks, comics, cartoons, and toys. In 2010 he launched his own creative studio, where he hopes to illuminate imagination (the name "Luke" means "light") through his work. Luke has had the joy of illustrating over 40 unique books, such as "One More Dino on the Floor" with Albert Whitman & Company in March 2016, "Little Bo Peep and Her Bad, Bad, Sheep" with Capstone Young Readers in February 2016, and "Moby Shinobi," his first early reader book series with Scholastic that will be released Spring 2017. When he is not in his creative cave, he finds inspiration in strumming on a guitar or banjo, writing songs, and consuming a unique blend of movies, music, and coffee. All his adventures can only be enjoyed fully in Colorado Springs, Colorado, with his wife and three kids. To enjoy more of Luke's work, please visit lukeflowerscreative.com.